Janicetale wins 20 Credits & 20 Bite Points. I hope the bunny's guests arrive soon. FridaEwzz wins 10 Credits & 10 Bite Points. The two story building was a great touch! DiazoVitriol wins 5 Credits & 5 Bite Points. NOTE: Prizes expire on the 15th April 2019, please collect your prizes from Audemars by then. FridaEwzz Thank you! 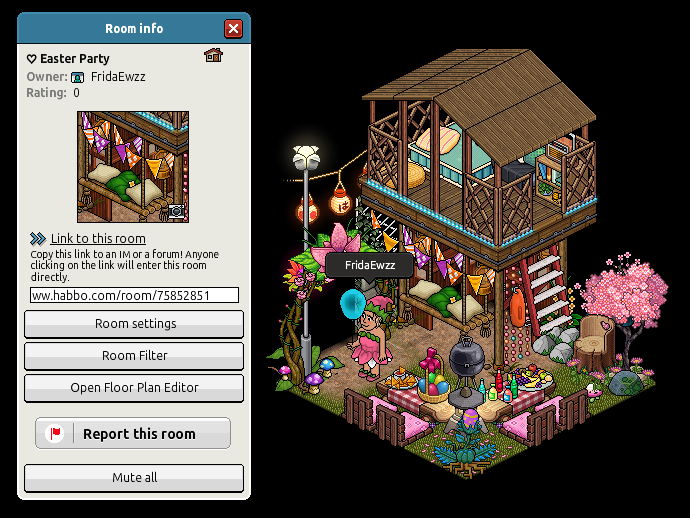 Your build is amazing as well >_< Also congrats on being one of the runner ups of Habbo's competition! Yay 😍 <3 ! 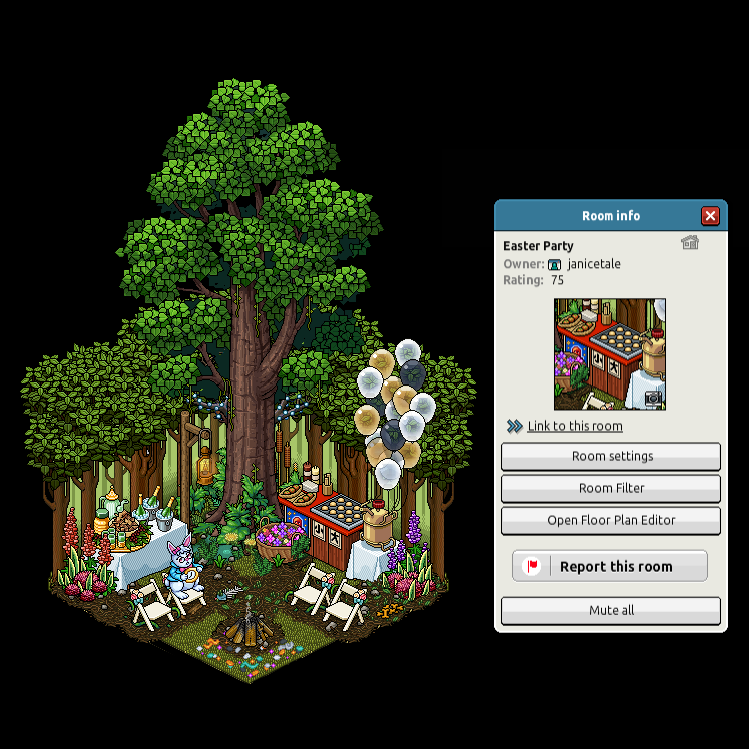 Congratz janicetale I really love the easter party feeling in your build ! !